How do I check in for an event? How do I register and play in an Event? What are the Event rules? 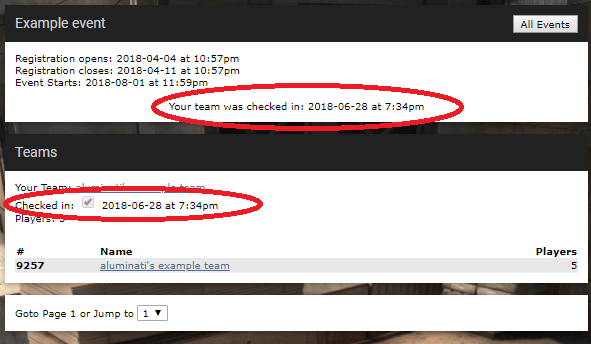 Every event will have an announced time when teams may begin checking in. At this point rosters can no longer change so please make sure that all stand ins, back ups, coaches etc are on the roster at this point. Some events may grant additions between multiple days, this will be stated in the specific event rules. Any member of your team can check in by following this process. Teams must have at least the required number of players on your roster in order to participate (eg five players for 5v5, two players for 2v2) in order to check in. How do I create an ESEA Clip?